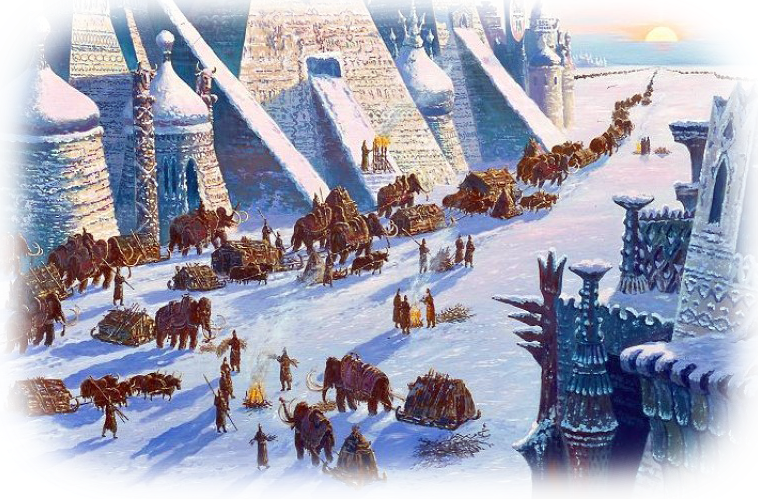 Just as Plato had cited the Egyptian legend of the sunken island of Atlantis, the Greek historian Herodotus mentioned the Egyptian legend of the continent of Hyperborea in the far north. When ice destroyed this ancient land, its people were said to have migrated south. Writing in 1679, the Swedish author Olaf Rudbeck identified the proto-Atlanteans with the Hyperboreans and located the latter at the North Pole. In Greek mythology the Hyperborean people lived "beyond the North Wind". The Greeks thought that Boreas, the god of the North Wind (one of the Anemoi, or "Winds") lived in Thrace, and therefore Hyperborea indicates a region that lay far to the north of Thrace. Herodotus recorded that three earlier sources had mentioned the Hyperboreans, including Hesiod and Homer. This land was described as perfect, with the sun shining 24 hours a day, suggesting a location within the Arctic Circle. According to the classical Greek poet Pindar, "Never the Muse is absent from their ways: lyres clash and flutes cry and everywhere maiden choruses whirling. Neither disease nor bitter old age is mixed in their sacred blood; far from labor and battle they live." "In the regions beyond the land of the Celts there lies in the ocean an island no smaller than Sicily. This island, the account continues, is situated in the north and is inhabited by the Hyperboreans, who are called by that name because their home is beyond the point whence the north wind (Boreas) blows; and the island is both fertile and productive of every crop, and has a temperate climate." Hecateaus of Abdera also wrote that the Hyperboreans had a 'circular temple' on their island, and some scholars have tried to identify this with Stonehenge. Ptolemy and Marcian of Heraclea both placed Hyperborea in the North Sea which they called the "Hyperborean Ocean". Also, the sun was supposed to rise and set only once a year in Hyperborea; which would place it above or upon the Arctic Circle, or, more generally, in the arctic polar regions. Alone among the Twelve Olympians, Apollo was venerated among the Hyperboreans, the Hellenes thought: he spent his winter amongst them. The ancient Greek writer Theopompus in his work Philippica claimed Hyperborea was once planned to be conquered by a large race of soldiers from another island (some have claimed this was Atlantis). The plan was said to have been abandoned because the invading soldiers realized that the Hyperboreans were too strong for them and the most blessed of people; this unusual tale, which some believe was myth, was preserved by Aelian (Varia Historia). "This god [Apollon] has as priests the sons of Boreas (North Wind) and Chione (Snow), six cubits in height [about 3 metres]." 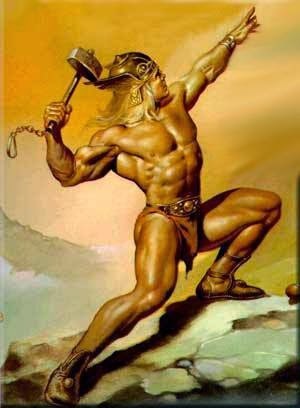 The Boreades were thus believed to be giant kings, around 3 metres tall, who ruled Hyperborea. Aelius Herodianus in the 3rd century wrote that the mythical Arimaspi were identical to the Hyperboreans in physical appearance (De Prosodia Catholica, 1. 114) and Stephanus of Byzantium in the 6th century wrote the same (Ethnica, 118. 16). 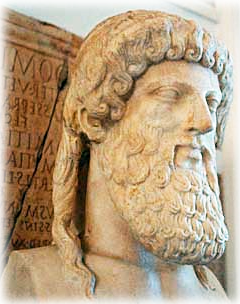 The ancient poet Callimachus described the Arimaspi as having fair hair. Northern Europeans (Scandinavians), when confronted with the classical Greco-Roman culture of the Mediterranean, identified themselves with the Hyperboreans, often times neglecting the ancient and traditional aspect of a perpetually sunny land BEYOND the north. The Smoky God - Voyage to the Hollow Earth, is the story of a Norwegian, Olaf Jansen, and his father, and their trip on a sail boat to the inner earth, via the glaciers of the north polar region. Olaf Jansen was born in 1811 and was ninteen years old when he took that fateful fishing trip with his father between April and June of 1829. It was after they reached Franz Josef Land from Stockholm that the two decided to venture even further north where they believed they would find the land of the "Chosen". After escaping a fierce storm and perilous icebergs they sailed smoothly for eleven days, always in what seemed to be a northerly direction. A few days later they reached the shores of of a mighty river which further carried them inland for another ten days coming to around the first of September. They anchored on a sandy beach whereupon they were greeted by six giant men whom befriended them. 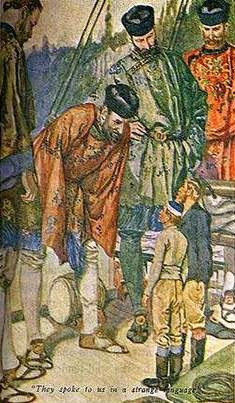 According to Olaf's father, the people had large beautiful houses adorned with gold, which was a very common metal there. The principle occupation was agriculture and they had vineyards and grew grain. The vegetables and fruits were lush and huge and exquisitely delicious. The trees and forests and animals were also huge and the air was invigorating. John G. Bennett wrote a research paper entitled "The Hyperborean Origin of the Indo-European Culture" in which he claimed the Indo-European homeland was in the far north, which he considered the Hyperborea of classical antiquity. 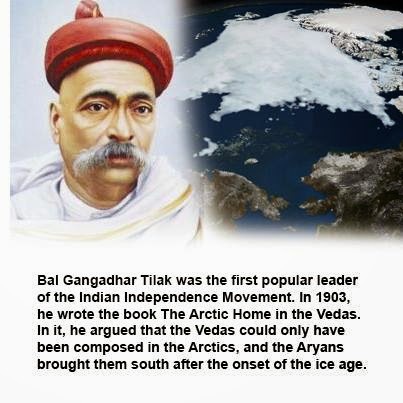 This idea was earlier proposed by Bal Gangadhar Tilak (whom Bennett credits) in his The Arctic Home in the Vedas (1903) as well as the Austro-Hungarian ethnologist Karl Penka (Origins of the Aryans, 1883). H. P. Blavatsky, René Guénon, and Julius Evola all shared the belief in the Hyperborean, polar origins of Mankind and a subsequent solidification and devolution. 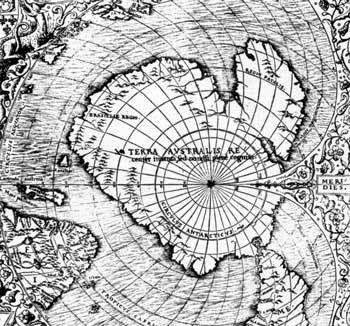 Hyperborea was the Golden Age polar center of civilization and spirituality; mankind does not rise from the ape, but progressively devolves into the apelike condition as it strays physically and spiritually from its Northern homeland. Robert Charroux first related the Hyperboreans to an ancient astronaut race of "reputedly very large, very white people" who had chosen "the least warm area on the earth because it corresponded more closely to their own climate on their home planet".